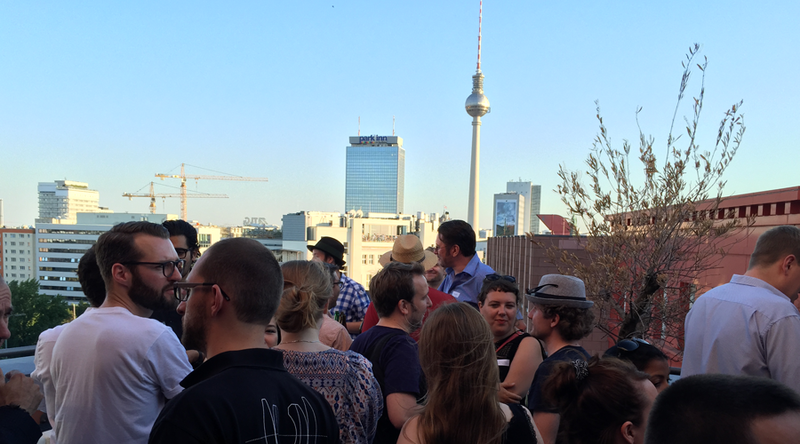 Networking | media:net berlinbrandenburg e.V. media:net organizes over 130 events a year with its various initiatives. An overview of our event formats and reports of past events can be found here. At the events, you have the opportunity to network with other companies from your own industry, but also across sectors. media:net berlinbrandenburg ranks among the biggest and most successful regional networks of media and digital economy in Germany since 2001. It plays a key role in the cross sectors and cross border networking of over 400 members: From the established and globally active companies to the newly established, innovative start-up, we take care of all the players in the media and creative industries, IT and communications and industrial 4.0. media:net cooperates with institutions, associations and opinion leaders from business, research and culture to improve regional economic conditions. It also keeps you informed and connected with studies and surveys focused on members’ current issues and business needs. Events offer practice-oriented professional development and valuable contacts. The aim of media:net is to connect key players and represent interests of the members in Berlin and Brandenburg to improve the regional business conditions. Are you interested in becoming a member of media:net? Get more information here and apply for a membership.